Creative Blast School's Out! workshops give children aged 6 to 11 years-old the opportunity to create, make, explore, sing, dance, and act on the Thameside Theatre Stage. The workshops culminate in a free show to parents and friends. Sensible clothing, footwear and a packed lunch are required. Leave your kids with us and let them explore their imaginations! The Creative Blast Summer School is back with a bang, giving you the unique experience of creating an original new musical in a week! 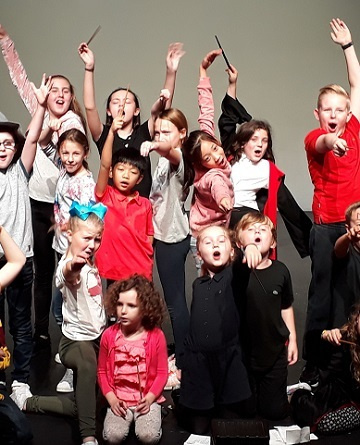 Using your favourite chart toppers and musical numbers you’ll work with industry professionals to make and star in your very own musical, complete with lights, props and costumes to share with your family and friends at the end of the week. So get ready for a fun and jam-packed week to end your summer holidays with a blast! This workshop runs from 10am to 4pm each day with opportunity for you to come along at 3.30pm on the Friday and see what the children have created.